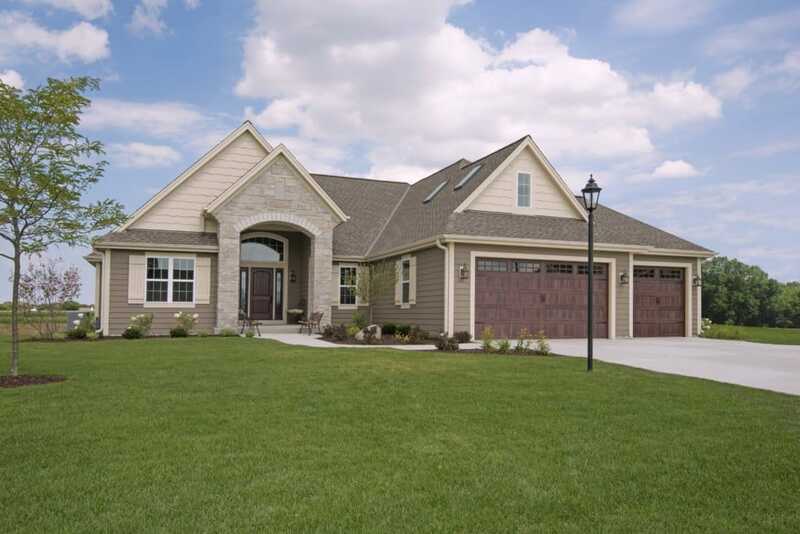 Do you live in the Waukesha area and thinking of building your dream home in Waukesha County? That’s awesome! Waukesha is a great place to live. Best of all, some of the the best rated home builders build in Waukesha County thus, hiring a home builder from the area is the way to go. “Buy Locally” has become a rallying cry of a nationwide movement. It means purchasing goods and services from local businesses instead of national corporations. It first began with food sourcing, but now means buying as many products as possible from local companies – even brand new homes. Many of the reasons we want locally grown food (higher quality, better service) can be applied to hiring a local home builder. If you’re planning on building a home in Waukesha County, here are some excellent reasons to find someone local. Have you ever tried to reach someone at a big corporation like the phone company? It’s a nightmare. You’re on hold forever and probably transferred several times before finally talking to a real person (who may or may not be able to help). On the other hand, when you call a home builder near you, they are genuinely interested in hearing your issues and finding ways to fix them. Their company reputation is on the line. When you hire a local builder, your money stays local. It creates jobs and helps the area’s economy. Independent businesses impact the community significantly more than a national chain. Buying locally is especially true for builders, who hire local staff and subcontractors and use materials from area stores and suppliers. Local businesses have a connection to their community, and that fosters integrity and honesty. A successful business reflects an active community and vice versa. When a builder has been around for many years, they generally have a great reputation and are reliable – otherwise, they wouldn’t still be in business. Local builders are also interested in helping their community. They often serve on nonprofit Boards, support local causes, and encourage their staff to volunteer in county schools, animal shelters, or fundraising walks. Locally owned businesses help to create prosperity, entrepreneurship, and self-reliance in their communities. They won’t let you down. Most importantly, custom home builders in Waukesha County will have a much broader understanding of the community’s zoning regulations, building codes, economic standards, and the entitlement process. They recognize the weather, soil, and economic conditions of Waukesha, and know the prices, sizes, and locations of high demand lots. Also, a Waukesha builder knows people. They know whom to talk to when filing building permits, getting an inspector, and knowing what commercial buildings will be built in the neighborhood. They also understand buyers and what kind of home they need – whether the clients are empty nesters, first-time buyers, or somewhere in between. By knowing the county, a local builder has the advantage of recognizing where and what the client should build. Your local builder can help bring your dream home to life. With an A+ grade from the BBB, Joseph Douglas Homes has been voted a top home builder in southeastern Wisconsin. Founded in 1998, founder and principal architect Deron Butler sets the standard for making the sometimes-complicated process of building a home easier. Joseph Douglas provides an in-house designer, custom floor plans, complete base pricing, and so much more. They always put their clients’ needs first. Local businesses make Waukesha County different from every other place in the US. By supporting a local home builder instead of a national chain, you can be certain that individuality is preserved, and you are building the best home for yourself and your community.